Really, who doesn't love a bargain? Finding a rock bottom price for something you've actually considered buying at full price before. Today I struck gold, but first let me set the scene. 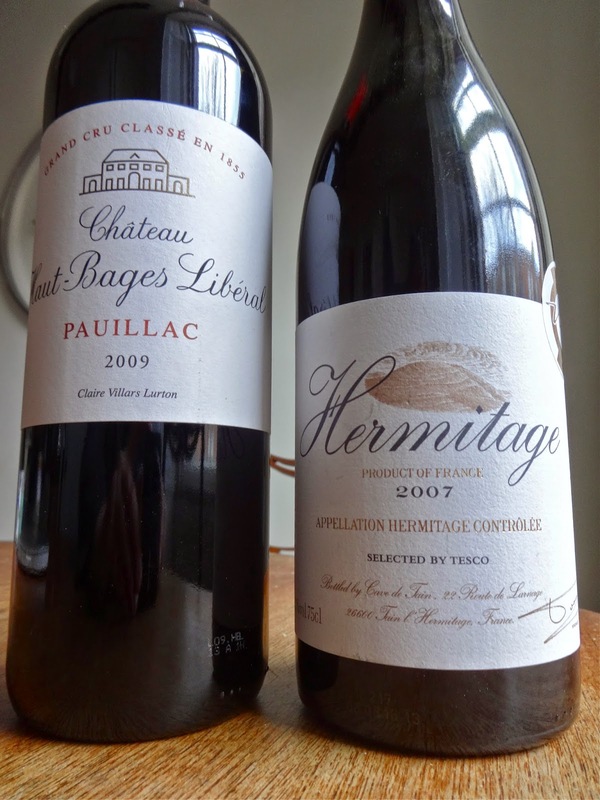 A few months back I found myself staring rather too long at a bottle of Tesco's own label Hermitage. In fairness I didn't just stare, I also picked it up off the shelf once or twice to read the back label, marvel at the depth of it's punt and generally fondle. The evitable became inevitable and, reflected in the beautifully formed shoulder of the weighty bottle, I saw a security guard lurking a little too close. "I am not a bloody shoplifter just a man searching desperately inside himself to find a recent life event worth escalating out of all proportion in order to justify spending £21 on a bottle of red wine. One that, according to the back label, will go remarkably well with the reduced price venison I picked up a few aisles earlier. Now, distracted by you, you brute in a suit, I've bottled it, happy now?" Of course in reality I just put the bottle back and left. Today I went to Silverburn Shopping Centre. Now there's a sentence I've never written before and will never write again. Anyone wishing to study the end of the capitalist system in action should pop along to witness first hand it's seething mass of cheap and bland. The airport mall where the delayed departure to sophistication is never called. In an attempt to find something to buy I reverted to form- food or drink or both- and headed into Tesco Extra. It's called that because everything you want to buy is an extra mile away from the check-outs. After a lengthy stroll I found myself at the wine aisle and went straight into bargain hunter mode, scanning the shelves looking for any inconsistencies with price to name, any reduced to clears or, and this is an important hunting ground, anything that isn't priced. I could barely contain my excitement with my first catch, so took a shelfie. No special colouring on the label, no reduced stickers, just a price £13 lower than last time I'd seen it, what a bargain for a bottle of Hermitage. Next up, a solitary bottle of classed growth Bordeaux from an excellent vintage on a shelf in the middle of no-where with no price. Definitely worth a punt so after asking a member of staff to check if there was anymore Hermitage lurking out back, there wasn't, I headed off to the till. 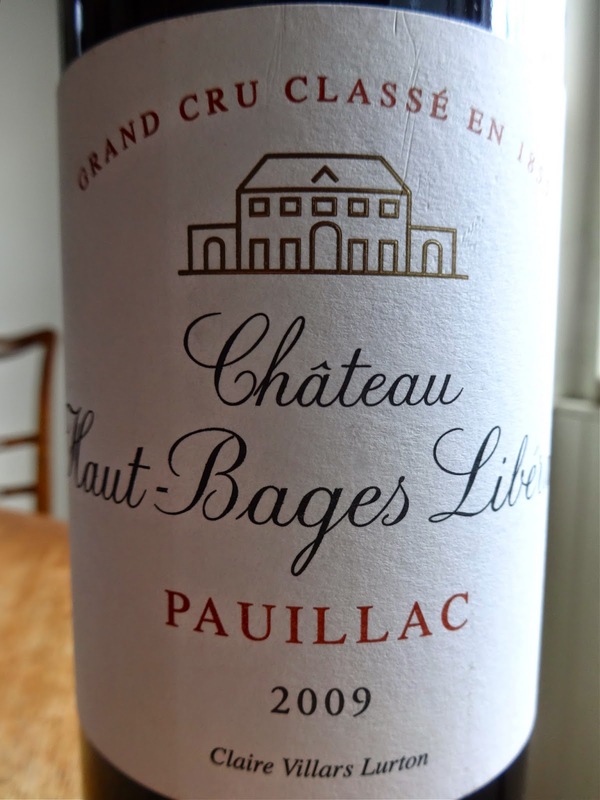 The Haut Bages Liberals wasn't on the system so a member of staff went off to see if she could find the price. After 5 minutes of checks and discussion with others it was decided, since it wasn't listed, they'd let me have it for £4.99, did I want it at that price? Err yes please I said trying not to hug her. 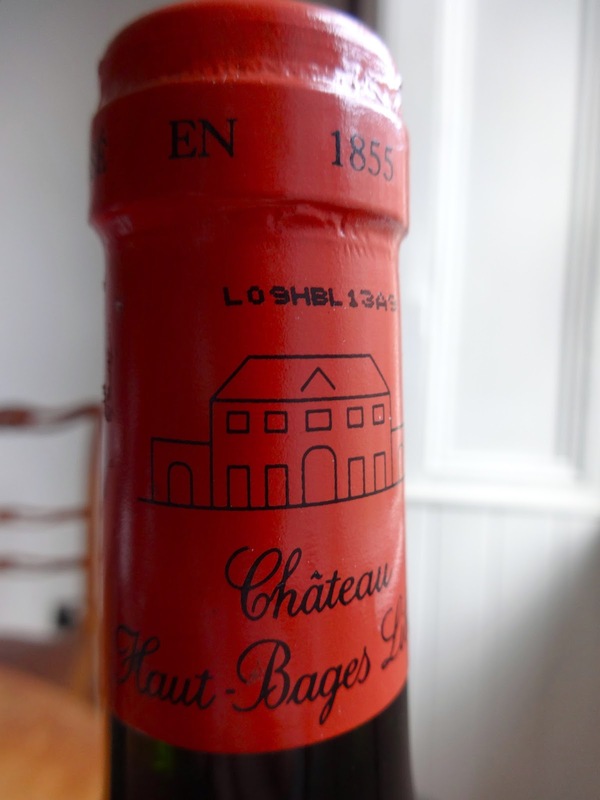 According to my google researches, conducted from an armchair whilst caressing my catches, Haut Bages 2009 is normally £35+ a bottle. 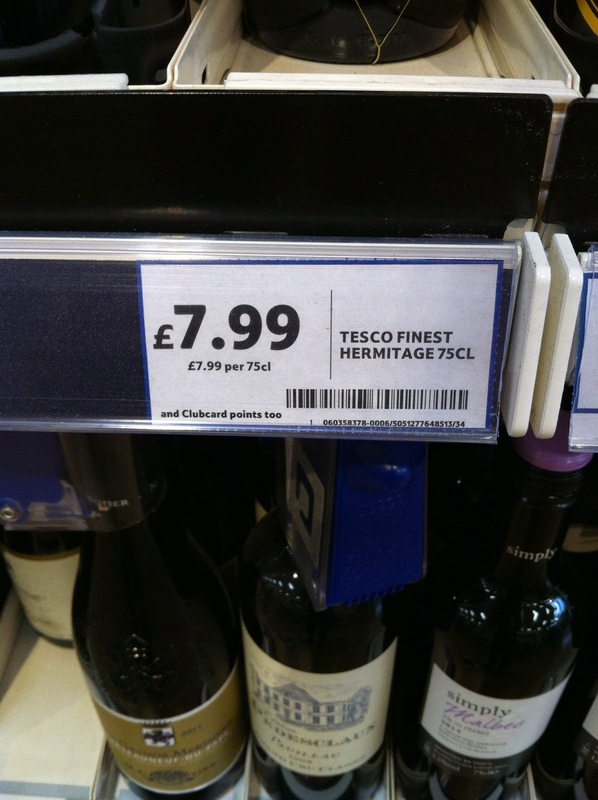 Every little helps and 'a lot' really helps, thank you Tesco. Here's a man from Tesco saying just how good my £4.99 bottle of Haut Bages Liberals is.